A fresh, unique insider’s view of what it’s like to be a woman aviator in today’s US Navy—from pedicures to parachutes. Caroline Johnson was an unlikely aviation candidate. A tall blonde debutante from Colorado, she could have just as easily gone into fashion or filmmaking, and yet she went on to become an F/A-18 Super Hornet Weapons System Officer. She was one of the first women to fly a combat mission over Iraq since 2011, and she was the first woman to drop bombs on ISIS. Jet Girl tells the remarkable story of the women fighting at the forefront in a military system that allows them to reach the highest peaks, and yet is in many respects still a fraternity. 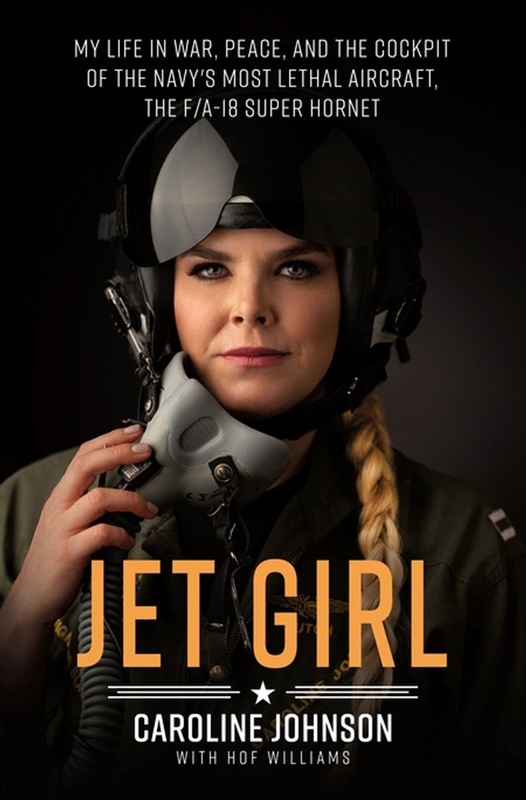 Johnson offers an insider’s view on the fascinating, thrilling, dangerous and, at times, glamorous world of being a naval aviator. This is a coming-of age story about a young college-aged girl who draws strength from a tight knit group of friends, called the Jet Girls, and struggles with all the ordinary problems of life: love, work, catty housewives, father figures, make-up, wardrobe, not to mention being put into harm’s way daily with terrorist groups such as ISIS and world powers such as Russia and Iran. Some of the most memorable parts of the book are about real life in training, in the air and in combat—how do you deal with having to pee in a cockpit the size of a bumper car going 900 miles an hour? Not just a memoir, this book also aims to change the conversation and to inspire and attract the next generation of men and women who are tempted to explore a life of adventure and service. Acquista Jet Girl in Epub: dopo aver letto l’ebook Jet Girl di Caroline Johnson ti invitiamo a lasciarci una Recensione qui sotto: sarà utile agli utenti che non abbiano ancora letto questo libro e che vogliano avere delle opinioni altrui. L’opinione su di un libro è molto soggettiva e per questo leggere eventuali recensioni negative non ci dovrà frenare dall’acquisto, anzi dovrà spingerci ad acquistare il libro in fretta per poter dire la nostra ed eventualmente smentire quanto commentato da altri, contribuendo ad arricchire più possibile i commenti e dare sempre più spunti di confronto al pubblico online.